I love trying out new pasta recipes. Recently I’ve made 2 really lovely ones that I need to share with you. The first one is a recipe from one of my favorite cooks, Nigella Lawson. Her recipe for pappardelle with lamb ragu can be found on her website. I was attracted to this recipe because I’ve been cooking with lamb a lot lately and I was intrigued by the addition of mint and redcurrant jelly to the pasta sauce. That’s not parsley or basil decorating this dish – it’s mint! 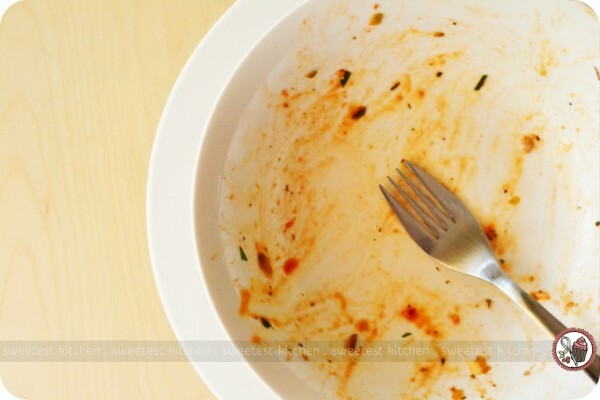 This was a really delicious and comforting meal that I’ve made twice already. You can trust Nigella to give you such a fantastic recipe! I highly recommend giving this a go. It’s very easy and quick to whip up, even on a weeknight. I didn’t have and couldn’t find pappardelle, so I used fettuccine instead. The second recipe is seriously one of the best pasta dishes I have ever made/eaten (by another of my favorite cooks, Valli Little). I am always impressed when I try a pasta recipe that is made without using a tomato-based sauce, as it is always so delicious. I grew up thinking that you only used tomato-based sauces on pasta! Wow, what a sheltered childhood I must have had! Discovering that I could enjoy pasta without tomatoes was almost as thrilling as hitting that 21st birthday, when one can finally legally drink alcohol! 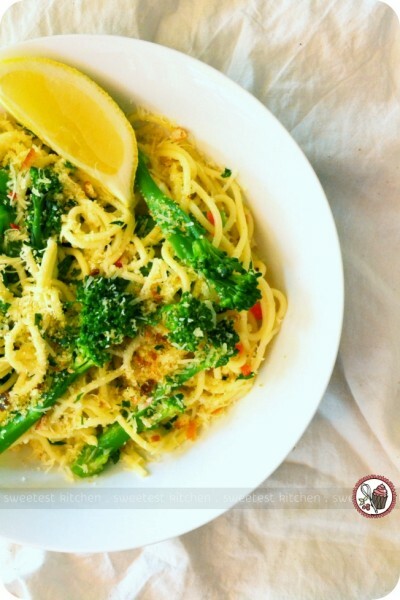 This sensational pasta dish is called broccolini and chilli spaghetti with pangrattato. It is another easy whip-up-on-a-weeknight meal that is bursting with the most amazing flavor. I will definitely be making this recipe again and again. I hadn’t heard of pangrattato before, but it is easy to make. It involves tearing up chunks of sourdough bread, drizzling them with olive oil and baking until golden and crunchy. Then, toss them in a food processor along with some chopped garlic and parsley and pulse until they form coarse crumbs. You’ll be using this pangrattato to sprinkle over the spaghetti just before serving, along with some fresh grated parmesan. One thing you can’t skip in this recipe is the lemon. You must have fresh lemon wedges to squeeze over the pasta before serving as it really completes the dish and brings all the flavors together. I only used 400g of spaghetti, instead of the 500g called for in the recipe, because my pan isn’t quite big enough for an extra 100g. I found though that 400g was definitely plenty of spaghetti. 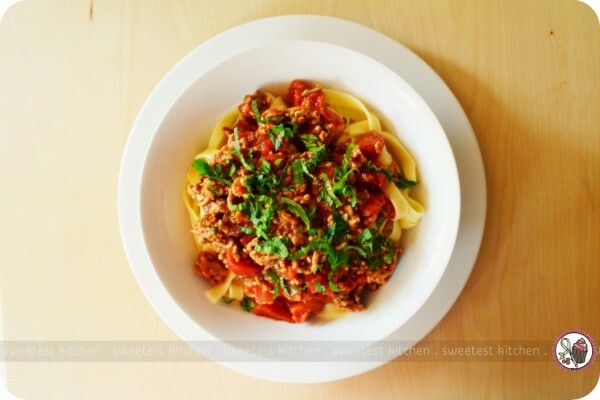 An easy lamb ragu recipe to top your favorite pasta. Put a large pan of water on to boil for the pasta. Warm the garlic oil in a small, heavy-based pan and cook the spring onions, stirring for a minute or so. Sprinkle in the herbs and chilli, stir. Add the lamb and stir to break up the mince. Cook for a couple of minutes, stirring, until it loses a bit of its pinkness. Add the tomatoes, redcurrant jelly, Worcestershire sauce, salt and pepper, then give a good stir and bring to a simmer. Partially cover with the lid and simmer for 20 minutes. 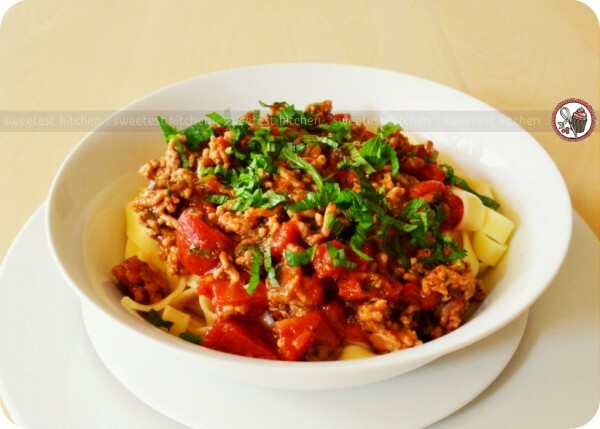 When the pasta water begins to boil, add some salt and cook the pasta according to packet instructions, and once cooked and drained, dress with the lamb ragù. Sprinkle a little bit of fresh mint onto each bowl to serve. 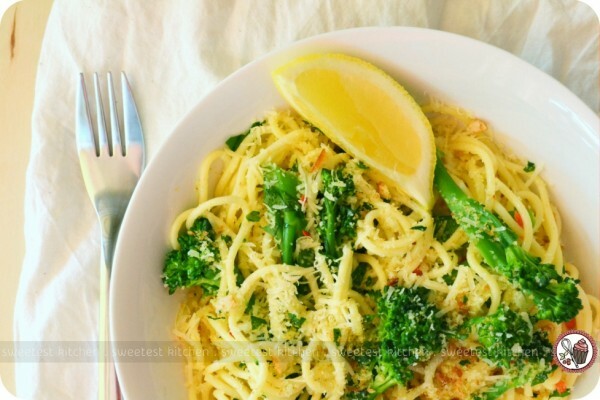 This chilli spaghetti with broccolini and pangratto is perfect for vegetarians! Tear bread into small pieces, place on a baking tray and drizzle with 1 tbs oil. Bake for about 10 minutes until golden and crisp. Remove from the oven and allow to cool completely. 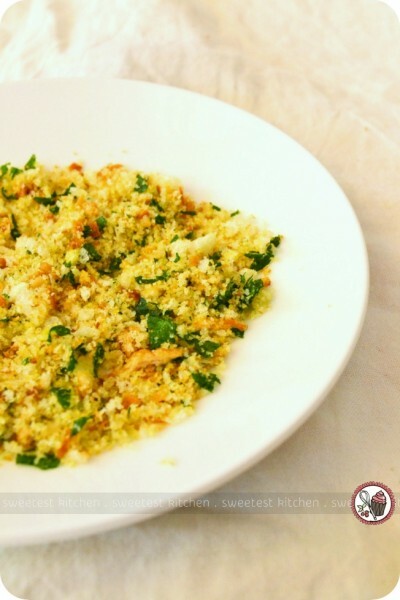 Place in a food processor with one-third of the garlic and ½ cup parsley. Pulse to form coarse crumbs, then set pangrattato aside. Cook pasta in a large pan of boiling salted water to packet instructions, adding broccolini for the final 1 minute of cooking time. Drain. Meanwhile, heat remaining oil in a large frypan over medium heat. Add chilli, zest and remaining garlic, then cook, stirring, for 30 seconds until fragrant. Add drained broccolini and pasta and toss to combine, then stir through remaining parsley and half the parmesan. Divide pasta among warm bowls, then sprinkle with pangrattato and remaining parmesan and serve with lemon wedges. I just made the broccolini pasta dish and it was terrific! Very nice mix of flavors and texture. Yum! The only thing I did differently was to reduce the amount of red chilli to my taste. Thanks. Just tried it last night and I love the lemon flavour, really refreshened the taste. Even my husband loves it, thank you for sharing! Delicious pasta recipes! I love the one with lemon. Lemons are just so refreshing and it brings out the best of flavors.